The organisation responsible for allocating Freeview channel numbers has launched a consultation as to what should happen to BBC Three's Freeview channel number once the TV service closes at the end of February 2016. Digital UK is considering two options for the future of Freeview channel 7, which would have an impact on where local TV would be found on Freeview, alongside Channel 4 in Wales and BBC Alba in Scotland. Option 1 sees services currently on channel 8 move to channel 7, i.e. local TV in England and Northern Ireland, Channel 4 in Wales and BBC Alba in Scotland. Channel 8 would become the home of BBC Four, while local TV in Scotland and Wales would move from channel 23 to channel 9. Channel 9 would be empty elsewhere in the UK. Channel 23 could be offered to shopping channel Create and Craft, according to Digital UK, by virtue of it being a sister channel of Ideal World, which is on channel 22. Option 2 sees Channel 4 in Wales and BBC Alba in Scotland move to channel 7. All local TV services across the UK would unite on channel 8. BBC Four would remain on channel 9. Digital UK says that the main benefit of Option 1 is that all public service channels could move to lower channel numbers and maintain their relative position in the general entertainment genre. This option also sees improved prominence for Local TV in Scotland and Wales. It notes that there would be drawbacks, such as the fact that channel and viewer disruption would be highest under this proposal. Digital UK goes on to comment "All channels affected would need to change the branding and marketing of their LCN position on the Freeview EPG, for what may be perceived as a relatively small improvement in their position (excluding Local TV providers in Scotland and Wales who would move from LCN 23 to LCN 9 under this option)." Of Option 2, Digital UK sees more advantages: "The main benefit of Option 2 is that all Local TV channels would be allocated the same LCN irrespective of geography. As such, viewers across the UK would be able to access Local TV programming from LCN 8 and Local TV channels could benefit from collaborative marketing of this UK-wide position on the digital terrestrial TV, if they choose to do so." Because option 2 would provide little change to most viewers, Digital UK is recommending option 2 be adopted, subject to the outcome of the consultation, which channel operators are being invited to comment on by 22nd January. BBC Three's HD channel number, 105, does not form part of this consultation. Channel 105 will be allocated to the next public service channel, currently BBC Four HD. Channel 5 HD could make a claim on the channel number- although the broadcaster says its "committed" to launching in HD on Freeview, there's been no public indication of any launch date thus far. 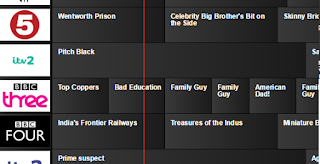 The allocation of the Freeview channel number is separate to the issue of what happens to BBC Three's vacated bandwidth. The BBC Trust has demanded more information from BBC management on this issue, to be provided by late February 2016. I just hope that BBC4 HD takes over the Freeview capacity of BBC3 HD so that everyone has access to this (in my opinion) one of the best BBC HD channels that exists. BBC Alba could take the overnight space in Scotland on BBC A Mux so that the radios could get reinstated. As far as the channel numbers I would have said put BBC 4 on 7, all local TV on 8 and yes it's a 1 slot demotion but have BBC Alba and Channel 4 in Wales on 9. Channel 5 should seek to launch Channel 5 HD on Freeview considering it's possible that they are thinking of going FTA on Dsat, that would take up some of the bandwidth on BBC B Mux. Channel 5 HD could then like in the article take slot 105. Of course this doesn't entirely solve the bandwidth issue, but it goes a long way. Option 2 makes most sense. 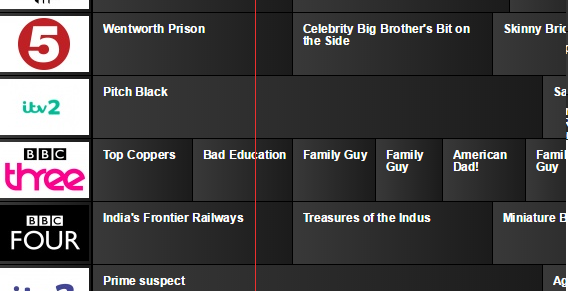 Wouldn't ITV get 23 though due to its proximity to ITV4 - I thought the PSBs took priority. Local TV is a joke and shouldn't be getting 7 at all IMHO! It's about time the eijits that fret over this stuff realised that most people delete the rubbish from their EPG and re-arrange the channel lists to suit themselves. I don't know a single person who doesn't do this! As one of the 'original' pre-digital channels Channel 5 should get the airspace - doesn't matter where they are on the 'official' list; it's like most other things where officialdom is completely out of touch with reality. If they'd any sense they'd leave things as undisturbed as possible; save folk the pain of retuning - just shove something else - whatever's getting the airspace - in the slot where BBC3 used to be. As someone who only watches HD channels, I would like to see FIVE take up any unused HD slot. As for all the local or gaelic stuff - like the previous contributer I delete unwanted channels from my EPG list.